A company with ties to the late Aubrey McClendon has reached an equity restructuring deal worth more than $1 billion, according to a report by The Oklahoman. 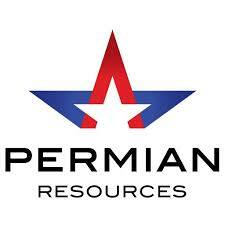 Permian Resources LLC announced that OnyxPoint Global Management LP will forgive $325 million in debt in exchange for a stake in the company, which will be renamed Sable Permian Resources LLC following the deal. As part of the financial deal, OnyxPoint, Energy & Minerals Group and other investors will buy $744 million in new common stock, with that money designated to reduce debt and fund operations. Permian Resources LLC and its holding company were spun off from McClendon’s American Energy Partners LP in March of this year. James Flores will become the new CEO for Sable Permian Resources LLC. The board will be replaced with three members appointed by OnyxPoint, three members appointed by EMG and one member appointed by Sable’s management, according to the report. “With the company’s outstanding Permian assets and my new partners EMG, OnyxPoint and my Sable Resources senior management team of Doss Bourgeois, Winston Talbert and John Wombwell, we plan to again drive strong returns for our new stakeholders,” said Flores.